Check your operating system’s control panel for technical information about your computer. Some advanced program functions demand more of your computer's processing power. To use these features fully, your system should at least meet the following recommended requirements. *Red/cyan glasses required for anaglyph 3D display. *A special monitor is needed for viewing with polarized filter glasses. *A 120 Hz monitor or a projector as well as compatible shutter glasses and graphics card are required for shutter playback. 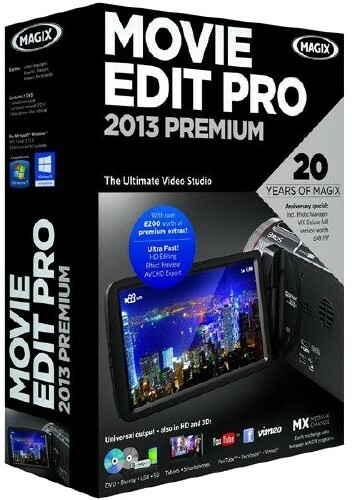 MAGIX Movie Edit Pro 2013 Premium - новое поколение редактирования видео - более мощное, быстрое и качественное. Наряду со всеми преимуществами Plus версии, Премиум версия включает в себя широкий выбор эксклюзивных бонусных программ и кинематографические спецэффекты. Превратите ваш компьютер в полностью оборудованную студию видеомонтажа. - 99 дорожек, MultiCam редактирование, маршрут путешествий, анимация и т.д. Make the impossible possible: Transform night into day etc. Create amazingly realistic particle simulations for your video sequences. 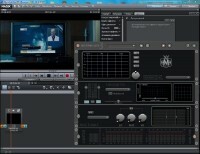 Use hundreds of amazing video effects and transitions to create impressive movies and documentaries. 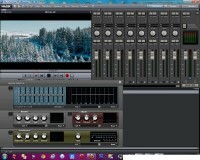 - Сертификация для "AVCHD Progressive"
** 98 test wins refers to the following versions of MAGIX Movie Edit Pro (Plus and Premium): 18, 17, 16, 15, 2007/2008, 2007, 2006/2007, 2006, 2005/2006, 2005, 2004/2005, 2004, 2003/2004, 2.0. Test wins from other countries refer to the country-specific version. Note: Online services offered in the program and the online update feature require an Internet connection. For copyright reasons MPEG-4, MPEG-2 and Dolby®Digital Stereo must first be activated for free. Windows Media® Player version 10 or higher must be installed in order to export MP3s.